President Dilma of the Worker’s Party (PT) has been barely holding onto the Presidency amidst threats of impeachment, the Petrobras scandal, and huge dissatisfaction among Brazilians due to government austerity plans. However, the Brazilian political parties are beginning to show signs of reorganizing themselves to assure government cuts and political stability, making the threat of impeachment less likely. In the first week of August, Senate President Renan Calheiros of the Brazilian Democratic Movement Party (PMDB) proposed a plan known as Agenda Brazil for “restoring economic growth” via a fiscal austerity plan with deep cuts to the public sector that would affect primarily workers and young people. On August 11, President Dilma made a statement characterizing Calheiro’s plan as part of a positive agenda for Brazil. This gesture by the president demonstrates an improved relationship between the legislative and executive branches after months of threats of impeachment and tense relations between Dilma and the president of the House of Deputies, Eduardo Cunha (also of the PMDB). In a press release issued Wednesday, August 12th, the famous journalist Luis Nassif indicated that the unity on Calhiero’s plan indicates a change in the current balance of power between the Worker’s Party (Partido dos Trabalhadores, or PT) government and the opposition. The way that President Dilma Rousseff (of the PT) will deal with the fiscal cuts approved by the President of the Brazilian Senate, Renan Calheiros, could determine a possible reorganization of the political forces, or it could result in the PT government hitting rock bottom with a possible impeachment of President Dilma (though this seems increasingly unlikely). 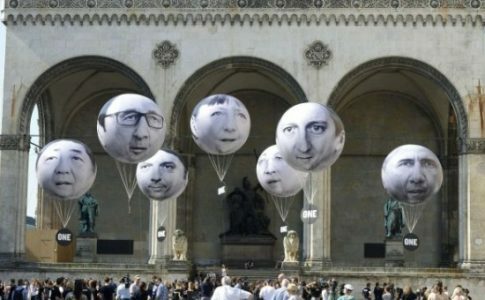 What is really at play here is not the economic decisions of President Dilma on the fiscal adjustments package, but the new configuration of power between the PT government, the Brazilian Democratic Movement Party (PMDB), and the opposition parties. Up until now, political power struggles were based on the deep contradictions within the Worker’s Party government. 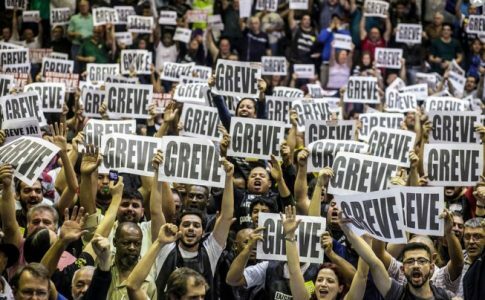 After winning several hard-fought elections on promises of unwavering support for labor rights, the party defaulted on this commitment and became the agent of a devastating fiscal adjustment affecting the entire population of workers in Brazil. The PT government made its anti-worker, neoliberal agenda very clear by naming Joaquim Levy, a known neoliberal economist, the new finance minister of Brazil. With her endorsement of the legislature’s proposed austerity measures, Dilma is aligning herself with right-wing members of Congress Eduardo Cunha and Renan Calheiros and sealing her abandonment of working people. Eduardo Cunha, the speaker of the Chamber of Deputies (and a member of the center-right PMDB) is exploiting the hypocrisy of the PT, although he has recently come up against some contradictions of his own. Though PMDB has played the role of the PT’s ally in the past, Cunha continually attempts to blackmail the PT government in order to gain political power. For example, Cunha recently pushed through a vote on a measure that had long been stuck in the House of Deputies—raising the retirement age from 70 to 75. This maneuver, which will cost Dilma five Supreme Court appointments during her term, is widely recognized (even by the Washington Post) as a characteristic manipulation by Cunha to make it impossible for the PT to govern. Cunha’s threats and blackmails are so extreme that even Globo News, known for being pro-right wing, released an editorial speaking out against his antics. In a more explicit statement of his allegiances, Cunha publicly broke with the Rousseff government and declared himself part of her opposition (and implicitly pro-impeachment) after it was announced that he was being investigated in the Petrobras corruption scandal. Amid such attacks, President Rousseff surrendered and sought a compromise with Mr. Calheiros and Mr. Cunha—the plan that she recently publicly praised. Additionally, President Dilma placed Vice President Temer (a member of Cunha’s PMDB) as government’s secretary of institutional relations in the legislature. This is a central role in the Brazilian political landscape, analogous to the role of Prime Minister in other states. His role is to maintain the political coalitions needed to ensure the continued governance of the PT. This appointment gives the PMDB more political power, demonstrating that the PT is willing to make great concessions in order to implement the austerity package and ensure Dilma’s continued governance. Since the PT’s election, it has betrayed the campaign promises to workers that provided Dilma with her narrow victory and made cuts to education, retirement, worker’s rights and more. The public responded almost instantly. Public dissatisfaction with the government reached 71% soon after the elections. The spectre of impeachment was quickly raised as a very real possibility. The Brazilian Social Democracy Party (PSDB) called on people to attend the anti-PT protests that took place on August 16. The only decision left for the PSDB to make was whether to attack the government via Superior Electoral Court (TSE) or via Federal Court of Accounts (TCU). However, another contradiction became clear in the past weeks, this one of the right wing. The strongest and most prominent proponent of impeachment, Eduardo Cunha, is not fit to lead the effort to impeach the President.. His outright blackmail of the PT government combined with his own involvement in a corruption scandal make him unable to carry out the impeachment of the President and continue the austerity measures that the PT and the PMDB have agreed to. The collusion of the two main parties is exemplified by the anti-PT press speaking in favor of the coalitions created by Vice President Michel Temer and the austerity measures by Calheiros that the PT and PMDB agree on implementing. The newspaper O Estado de Sao Paulo (which member of the PT call the “Pro-Coup Press”) commended Vice President Temer, saying: “The Vice President provides a quality service to the country as he appears to use his political influence to favor ‘great national unity’ with the genuine willingness needed to put Brazil back on track on track to political, economic, and social normality. He particularly has the ability to neutralize the disturbing trend of congressional representatives from PMDB aligning themselves in favor of retrograde legislative proposals and surrounded by right-wing radicalism and religious fundamentalism.” For a newspaper that is infamous for being anti-PT to speak in favor of national unity and against Cunha clearly illustrates the status of bourgeois political thinking in Brazil. O Estado de Sao Paulo’s editorial demonstrates that for the bourgeois, one thing is clear: there won’t be stability in a country where Eduardo Cunha is the protagonist of an impeachment trial against the PT. 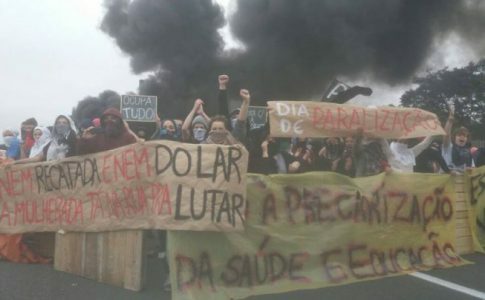 The political regime has faced serious popular challenges from the left, from summer 2013 when the masses took to the street against higher bus fares to 2014 when the biggest wave of strikes in the past 20 years rocked Brazil. For the bourgeoisie, who want to continue austerity measures that maintain their large profits and make the workers pay for the economic crisis, an impeachment of Dilma by Cunha will not guarantee stability. They want to see the main parties allied against the power of workers. Not only the newspaper O Estado, but even Brazil’s most famous TV channel, Rede Globo answered Vice President Temer’s call for political unity by speaking out against any impeachment attempt. 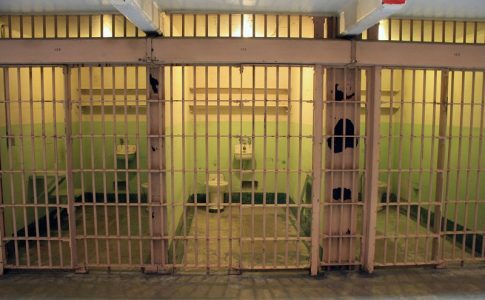 The Federation of Industries of the State of Sao Paulo (FIESP) released statements to this effect as well. This trend away from Cunha and toward alliance with the PT is rooted in three events within the PMDB. The first event is that in July it was announced that Eduardo Cunha has been named as being part of the huge Petrobras corruption scheme investigated by Operation Lava-jato, eroding his status as the politician who would impeach the President. He cannot criticize the PT government for corruption if he is deeply involved in the same scheme. The second meaningful event was Temer’s statements supporting “national unity” with certain anti-Cunha content, speaking for unity and those such as Cunha who would break the national unity. The third event was the launch of Renan Calheiros’ Agenda Brasil, a huge austerity package lauded by President Dilma. What is the relation of the PMBD’s shift to the overall situation of the government that was mentioned at the beginning of this article? First, it cooled pro-impeachment agitation, since the government’s main opponent (Eduardo Cunha) is being questioned. Second, Vice President, Michel Temer is starting to play a new role asking for “national unity,” offering some stability while boosting the prominence of the PMDB. The third and most important effect of the situation is that the PT government is no longer the central creator of budget cuts. The Partido do Movimento Democrático Brasileiro (PMDB) is starting to play this role through Renan Calheiros, with the PT in a supportive role. Two important meetings held last week have further consolidated the continued governance of the PT and the implementation of deep cuts. 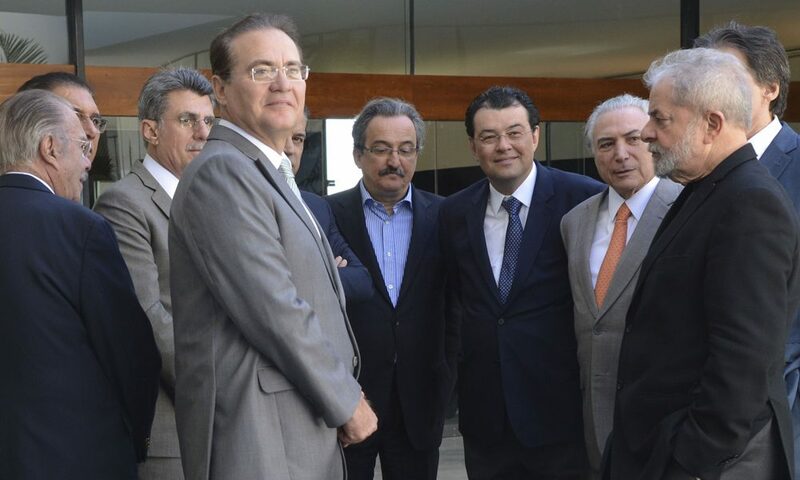 First, former president Lula da Silva, Vice President Michel Temer, President of the Senate Renan Calheiros, Senator José Sarney and other power players from the PMDB held a lunch meeting to discuss implementing plans for fiscal adjustment. This meeting, which did not include Cunha, left him even more isolated. The second meeting was between Finance Minister Joaquim Levy, Minister of Planning Nelson Barbosa, Renan Calheiros, and another 30 senators with the objective of “improving” the austerity measures. The PT government is falling into line alongside the PMDB and behind Mr. Calheiros’ fiscal package to reach its main objective—stability through the implementation of the adjustment. If the plan goes through, the government may gain the political clout to push all impeachment discussions out of the way. But this advantage for the party does not mean any advantages for workers. As the strengthening of the bourgeois opposition is its own danger, we cannot help but notice that these small gains in stability borne out of compromise are in fact backward steps that promise the loss of labor rights and future economic adjustments.